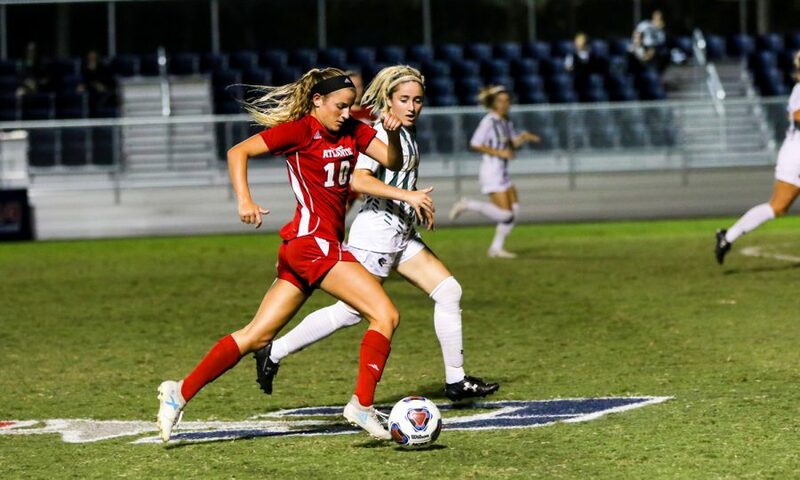 FAU sophomore midfielder Mary O’Hara (10) runs down the field toward UAB goal net during the women’s soccer C-USA Conference on Wednesday night. 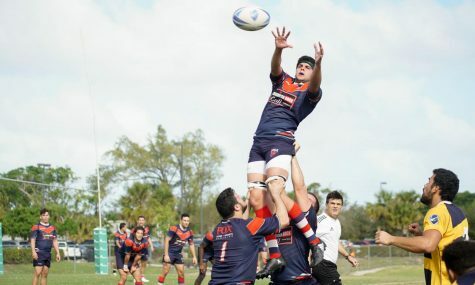 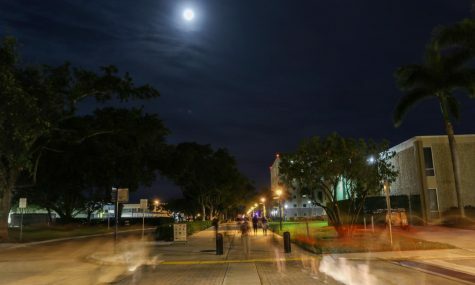 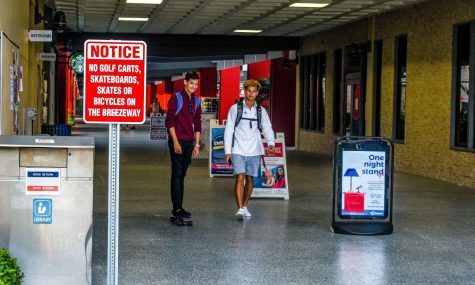 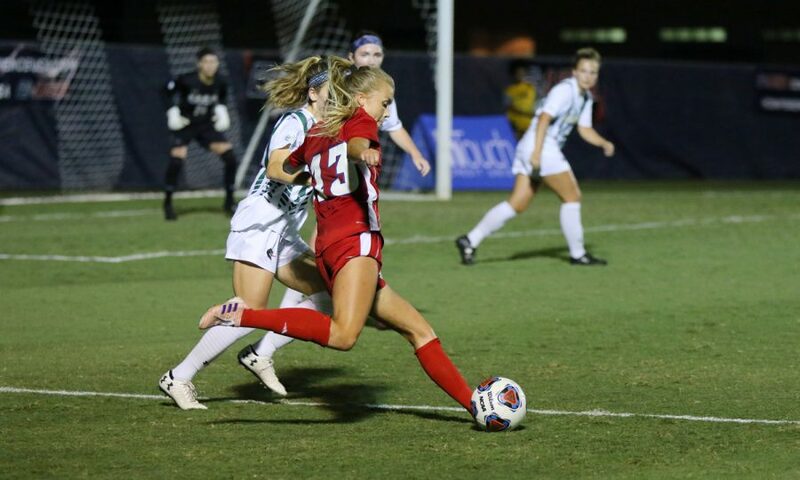 FAU went on to win 1-0 against UAB in overtime. 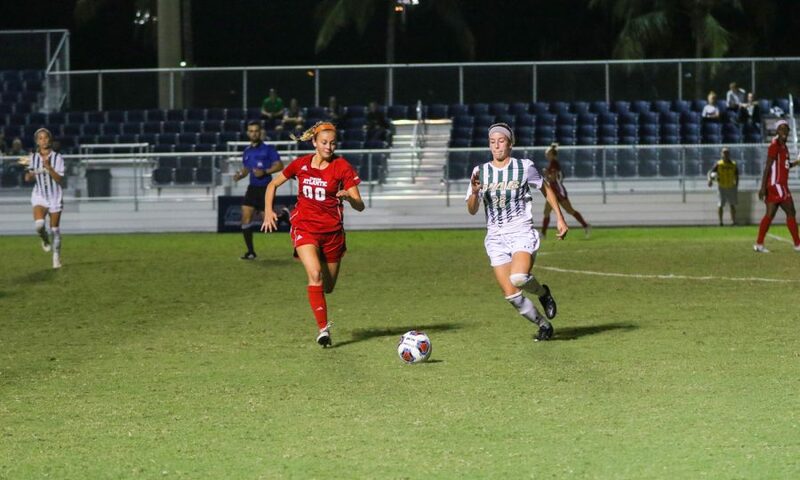 FAU sophomore midfielder Jessica Monteiro (00) and UAB senior defender Amy Brewer (26) both race toward the soccer ball to attempt to gain possession of the ball. 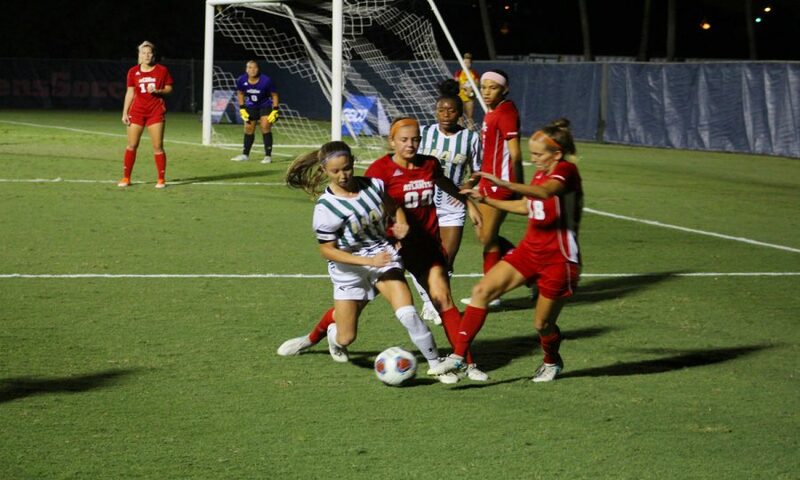 FAU senior midfielder Asta Arnadottir (13) attempts to pass the ball as UAB player attempts to defend her goal net. 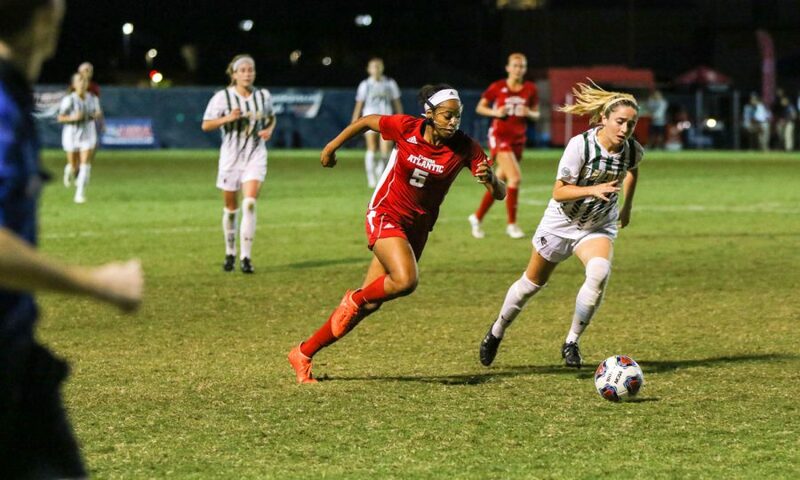 FAU sophomore forward Elisha Holmes (5) rushes down the field with the ball as UAB player attempts to steal the soccer ball. 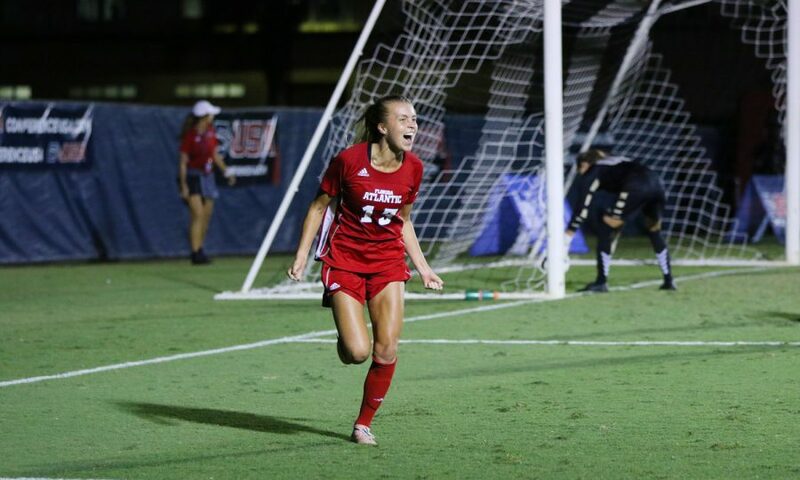 FAU senior midfielder Asta Arnadottir (13) scores the game winning goal at the 93rd minute against UAB. 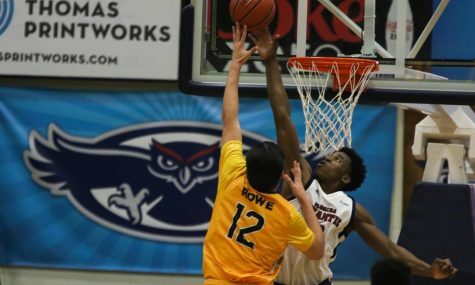 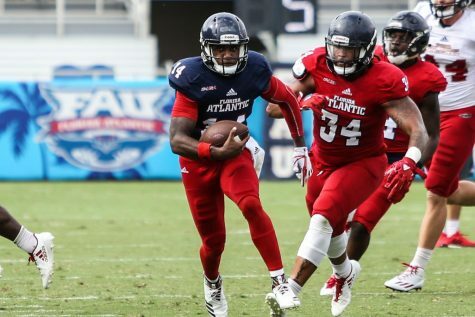 FAU moves on to the C-USA Semi-Finals on Friday November 3rd. 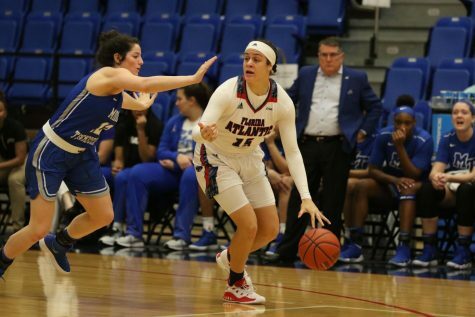 FAU sophomore midfielder Jessica Monteiro (00) and FAU senior defense Madison Caldwell (18) defend their side of the field as a UAB player attempts to make it to the goal zone. 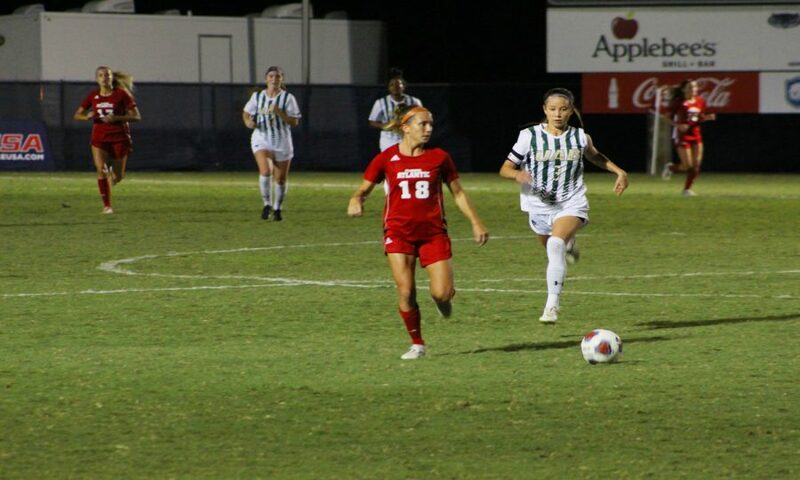 FAU senior defense Madison Caldwell (18) decides where to pass the soccer ball as UAB senior midfielder Rachel Green (3) attempts to take the ball.